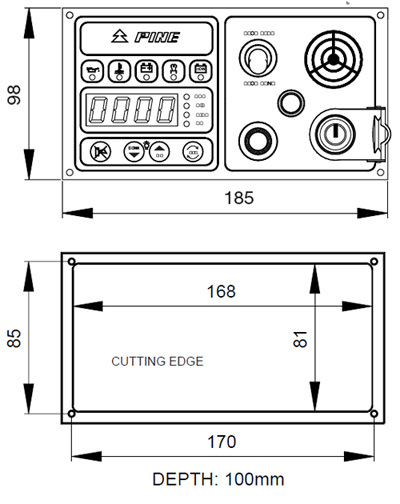 CM40 is a digital engine control panel suitable for low power engines. Small sizes make it ideal for dashboards where space is one of the most important needs, without giving up the main engine basic readings. 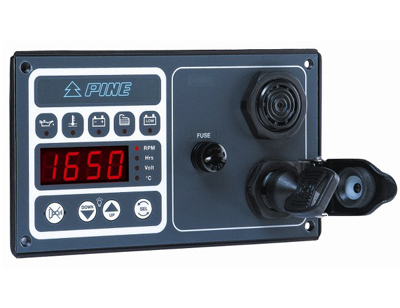 CM40 can be installed on the dashboard or on a electric board protecting the back against water. Control and visualization parts are protected by a polycarbonate front mounted on an aluminum support.